If you’re not a professional electrician, then it can be hard to tell when electrical repairs are required. A system that looks fine on the surface may be hiding serious problems that only a trained electrician would be able to uncover. However, even if you wouldn’t be able to fix the problems yourself, there are a number of warning signs that can point to deeper problems. If you encounter any of these issues in your home or business, then the time may have come to call on an electrical repair service. Circuit breakers exist to prevent damage to your electrical system. If the switches are tripping regularly then there’s a chance that there’s a problem somewhere. This is particularly likely if the breaks happen when you turn on a particular device. There are a number of things that could be causing this to happen. If you’re at all uncertain then the best way to uncover the problem is to call out an electrician to have a look. It may be a simple problem that can be fixed in a few minutes or you may have a much riskier situation on your hands. In that case, it’s worth involving the electrician at the earliest possible opportunity to avoid the risk of fire, electric shock or one of the other problems that could arise. Home and office electricity systems are more robust than they once were and it’s easy to misinterpret this progress as permission to overload the network. Most of the time, you might get away with this but when it finally causes a problem, things could be serious. Plugging too many powerful devices into a plug socket could cause a serious overload that requires you to call for electrical repairs. Whilst they’ll generally be able to fix the problem, prevention is far better than cure and there’s always the slight risk that you’ll cause a much bigger problem, such as a fire if you overload the network. The key to keeping your electrical system safe is to follow all the standard safety precautions. 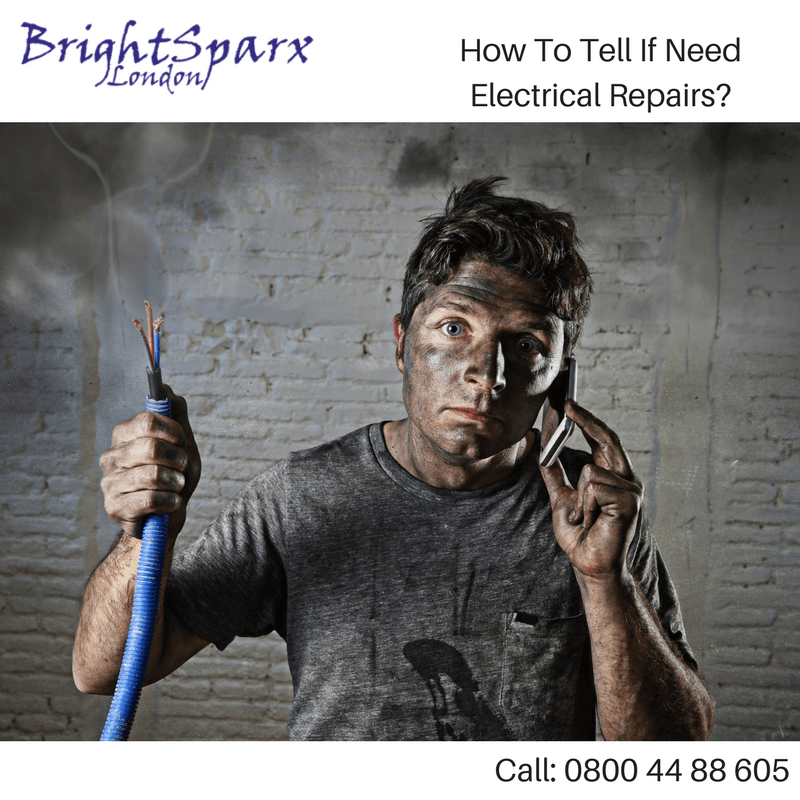 If you’re worried that there’s a problem then call an electrician at the earliest opportunity. As established electricians in London, we are able to identify if there is an issue and aim to resolve it before it becomes a bigger and costlier problem to fix. We will also be able to give you some much-needed peace of mind. Contact us on 0800 44 88 605 for assistance or get in touch online. Is PAT Testing A Legal Requirement? Fact Sheet: Most Fire Prone Domestic Appliances Is PAT Testing A Legal Requirement?